Critics of this legislation, though, were quick to say the city regulations protect working families and said it is “appalling” to see lawmakers line up to roll that back. "We don't want businesses moving out of the state of Texas. We want businesses moving to the state of Texas,” Abbott said in a speech to a luncheon held by the NFIB at the Sheraton in downtown Austin. "Paid sick leave, for a lot of businesses, is a great strategy. It can be a recruiting tool," Abbott said. "But it should be exactly that. It should be an option chosen by the business based on their strategy of what they want to do, as opposed to a government mandate." 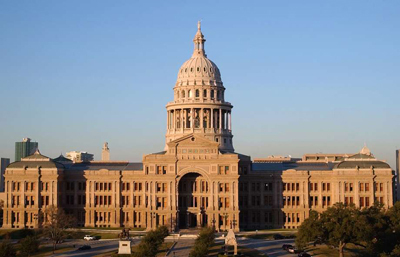 Though a slew of similar bills was filed, the ones Abbott voiced specific support for are Senate Bill 15 and House Bill 1654 by Sen. Brandon Creighton, R-Conroe, and Rep. Craig Goldman, R-Fort Worth, respectively. Other similar bills were filed by Sen. Donna Campbell, R-New Braunfels, and Reps. Matt Krause, R-Fort Worth, and John Kuempel, R-Seguin. The bills by Sen. Creighton and Rep. Goldman, by the way, steer clear of non-discrimination ordinances in hopes of drawing at least some Democratic support. Well, the Austin City Council passed an ordinance last year to require businesses to give employees one hour of sick time for every 30 hours worked up to 64 hours. Employees could use the time on themselves or use it to care for a family member. Any unused time could be carried over to the next year. Employers found to be in violation could face fines up $500. Business and conservative groups sued to block the regulations. Those groups include the Texas Association of Business, NFIB, and the Texas Public Policy Foundation. Those are some of the players in a larger group called ASSET – Alliance for Securing and Strengthening the Economy in Texas. To be clear, the Texas Public Policy Foundation is not part of ASSET, though they did help with the litigation. The alliance also includes AGC-TBB, the Texas Construction Association, the Texas Restaurant Association, the Texas Retailers Association, the Real Estate Councils of Texas, and others. The full list of groups is at the bottom of this webpage . Meantime, opponents of the legislation argue that the paid sick leave ordinances help, not hurt, the Texas economy by bolstering a healthy workforce. During a panel discussion organized by Working Texans for Paid Sick Time, Marliyn Washington, a home health provider and a member of the Texas Organizing Project, said she knows first-hand what it is like to not have paid time off if you are sick or injured. “Last year, my hand and wrist began to hurt, and the doctor told me that I needed to rest my hand and get physical therapy. However, I could not follow his advice because I do not have paid sick days,” Washington said. Her hand got worse and eventually she couldn’t work at all anymore. Employers lose money too, according to the National Partnership for Women and Families. A 2012 article in the American Journal of Public Health showed paid sick days reduce the likelihood of workplace injuries by 28 percent, the activists noted. Ryan Garrett, who works at Stubbs BBQ in Austin – which supports the city’s rules – said he sees less turnover and that his colleagues are more productive and healthier. He and others also pointed to a survey of Houston restaurant workers that revealed 63 percent reported cooking or serving food while sick because they did not have paid leave.